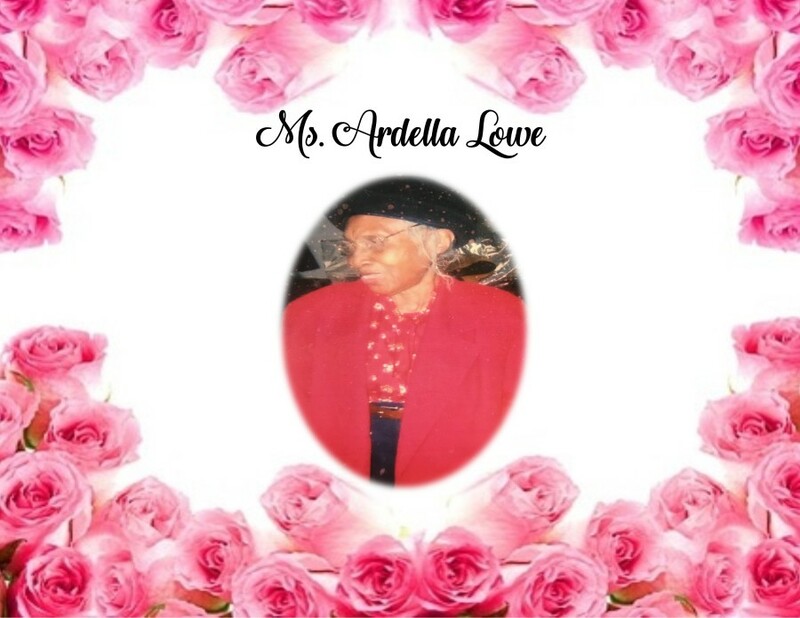 Ardella Lowe, 98, of Selma, Alabama transitioned on August 31, 2018. Funeral services will be held on Saturday, September 8, 2018 at 1:00 p.m. at Little Rock Baptist Church with Dr. Rev. Al L. Smith officiating. Interment will immediately follow in New Live Oak Cemetery. Ashley's JH Williams and Sons Funeral Home would like to humbly thank the Lowe family for selecting our firm for the final rites of passage for the passing of their loved one.